You are here: Home / Author Reviews / There are certain books which live with you forever. These are the books which you want to read one more time. There are certain books which live with you forever. These are the books which you want to read one more time. While you feel pride in having these books in your bookshelf, you do not want to lend these books to anybody because you feel frightened of losing these precious gems of your library. 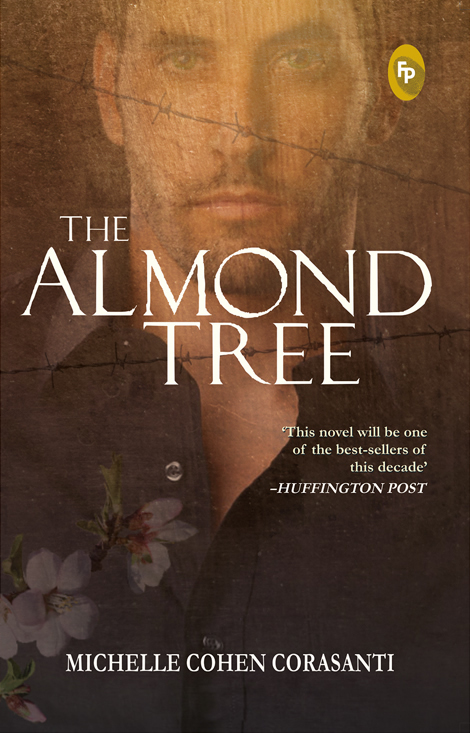 ‘The Almond Tree’ by Michelle Cohen Corasanti is one such book which will be cherished by you forever. The book was lying on my reading table for a long time. Its reading was keep getting postponed as I was busy reading other books. However, reading other books was not the sole reason for the delay in its reading. This postponement was due to other important factors. The cover of the book wasn’t tantalising. The blurb on the back cover was also not appealing. Then something happened. One of my friends noticed this book lying on my table. She picked up the book and started glancing on it. After leafing through the book for few minutes, she asked me, “Can I borrow this book for a couple of days? The book seems interesting. So, if you are not reading it, can I please borrow it? Please!” I gave the book without any thought since I was not planning to read the book in immediate future. While she had promised to return the book after a couple of days, she came to give it back to me after one week. “So, how was it?” I asked her. Hearing my question, her face revealed a sign of gloom. She said, “I was crying the whole day. This book made me sad. There are so many deaths.” “It means that you didn’t like it.” I said with a hint of disappointment. “No! I liked this book so much. It is beautifully written. This book gave me a new perspective to look at the life. Most importantly, this book made me aware about the realities of Israel-Palestine conflicts.” She said in a cheerful voice. Now, there was a definite smile on her face. She further added, “I will buy a copy of this book soon.” “Why? Didn’t you finish it?” I asked in a surprising tone. “Yes, I read it. But, you know, I have fallen in love with this book. I want to have a copy of this book in my library so that I can read it in future whenever I feel rereading it.” She thanked me profusely for lending her the book and left. Although she left, this conversation kept ringing in my head. Well! Probably it is the time to read the book, I thought. And, I started reading ‘The Almond Tree’ the same night. Soon, I was hooked and finished the book in a couple of days. I did not cry like my friend. However, there were moments when I felt a lump in my throat. This is the story of a Palestinian and his family. The background is Israel-Palestine conflict. While this is a fictional tale, it reads like a first-person memoir by a person who lived every second of the struggle. This book is certainly going to live in my heart for a number of days and I am definitely going to reread it many times in future. This book gave me a better understanding of the events happening in Palestine. Well! I cannot claim that the events described in the tale are based on real life events and depict the true conditions of Palestine. To be honest, I have very little knowledge of the political situations in Israel, Palestine and surrounding areas. I am definitely going to learn more about this in future. This book has generated a curiosity in my mind which now wants to know more about the political situations in these regions and the root of this ongoing conflict.